The bland statements issued from Jerusalem, Ramallah and Washington last week gave no hint to the success of otherwise of the US’ latest attempt to push a peace initiative in the Middle East. The central protagonists were barely more forthcoming. Benjamin Netanyahu’s office deemed the talks “constructive and substantive”, while Mahmoud Abbas suggested: “We highly appreciate President Trump’s efforts to strike a historical peace deal.” As the New York Times noted, if nothing else, Kushner and Greenblatt appear to have imposed a degree of “strict message discipline” on the two parties which eluded their predecessors. 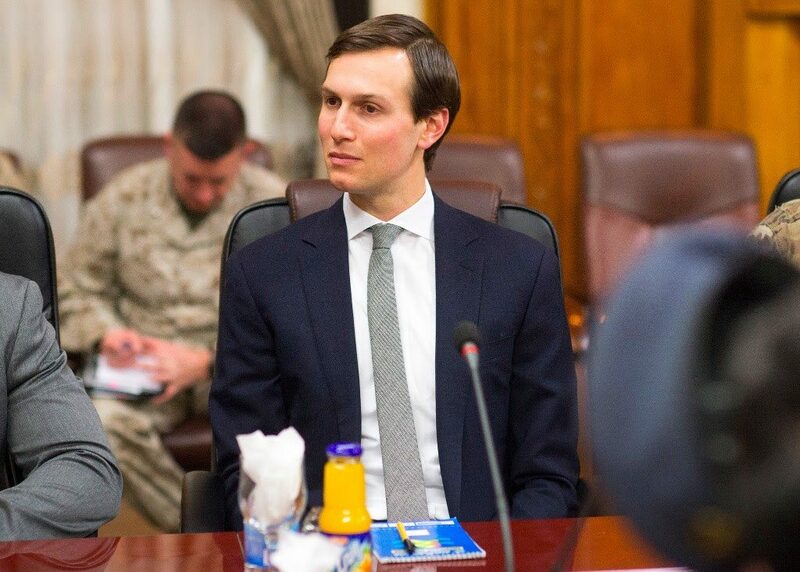 But, as ever, some details have slowly leaked out over the last few days, including the suggestion that the Americans asked the Palestinians – who had reportedly been on the verge of quitting the talks – to give them a three-to-four month grace period in which to develop a peace plan. During this time, Abbas has apparently agreed not to return to his previous policy of attempting to pursue statehood through international bodies. In return, the Palestinian president reportedly demanded that Trump should personally engage with the process by meeting with the two leaders during next month’s UN General Assembly in New York. It is thought the US plan will include a timetable for talks which will focus on the core issues of the Israeli-Palestinian conflict. The Palestinians have long been wary of the Trump administration’s intentions. Fears surrounding Trump’s unfulfilled campaign promise to move the US Embassy from Tel Aviv to Jerusalem – a pre-election attempt to shore up his pro-Israel credentials – have been compounded by the president’s refusal to commit to a two-state solution. In February, Trump, apparently unaware of the import of his words, announced he was “looking at two-state and one-state” formulations. The State Department last week refused again to recommit the US to its long-standing support for a two-state solution, suggesting this would “bias one side over the other”. That stance was derided by President Obama’s former ambassador to Israel, Dan Shapiro, who Tweeted: “State Dept saying endorsing 2 states makes US biased is absurd. It’s okay to have a bias toward the only outcome that serves US interest.” Trump’s position also threatens to further weaken Abbas’ already tricky domestic situation. The president has little to show for his 12 years in office and is currently engaged in a potentially perilous effort to ramp up pressure on Hamas, cutting the supply of electricity to Gaza and threatening to stop paying the salaries of civil servants in the enclave. At the same time, Abbas continues to defy American pressure to end the Palestinian Authority’s payment of salaries to convicted terrorists. Last week he suggested: “I don’t intend to cease payment for families of prisoner martyrs, even if it costs me my seat, I will continue to pay them until my last day.” The payments, the PA’s policy of inciting violence and glorifying terrorism, and its refusal to acknowledge Israel as a Jewish state represent major barriers to a deal, believe many in Israel. The US effort is based on the so-called “outside-in” approach – using a peace agreement between Israel and moderate Arab states such as Saudi Arabia and the UAE – to break the log-jam in the conflict between Israel and the Palestinians. This approach has been encouraged by two Arab states with friendly relations with Israel – Egypt and Jordan – and appears more realistic given Israel and the Sunni Arab states’ shared antipathy toward, and fear of, Iranian expansionism. In Saudi Crown Prince Mohammed bin Salman and the UAE’s Mohammed bin Zayed, some observers see a younger generation of Arab leaders who might be willing to cut an historic deal with Israel. Moreover, Trump’s scepticism about Obama’s Iran nuclear deal has helped repair relations between Washington and the moderate Arab world. As an analysis in the Washington Post at the close of last week’s shuttle diplomacy suggested, there are also many difficulties involving key players which may derail the current drive. If Abbas’ domestic situation is dicey, so, too, is Netanyahu’s. Corruption scandals and the threat of a criminal indictment mean the Israeli prime minister will become more dependent than ever on right-wing elements in the governing coalition that are most hostile to any concessions by Jerusalem. Doubts about the Trump administration’s focus, capacity and competence are also rife. One senior Israeli minister, for instance, suggested last week: “The Americans are sympathetic, but they are not willing to back words with deeds. We are not in the administration’s priorities. They are preoccupied with other issues, and there is a feeling that they have very limited attention span.” It is analysis which the Palestinians, in part, appear to share, with Abbas said to have told Israeli parliamentarians last week that the entire Trump administration was in “chaos” and that White House disarray was encumbering attempts at peace talks. The administration’s rank incompetence was also demonstrated by the fact that the US delegation arrived in Cairo the day after the State Department froze $300m in aid to Egypt. While insiders blamed a lack of coordination with the White House, Egypt’s Foreign Ministry hit out at the US’ “poor judgement”.